Zebra has announced the discontinuance of the QL 420 Plus mobile label printer. The replacement for this printer is the QLn420. The QL 420 Plus product will continue to be available through Zebra distributors until November 22, 2013, or possibly longer based upon the distributor’s available inventory. Service, parts and support will continue to be available for approximately three years from the last date of shipment (until February 22, 2017). 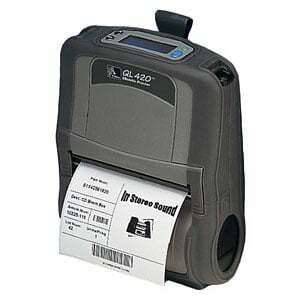 This is also a good time to switch to the new QLn420 mobile label printer. Remember, the new QLn420 provides all the benefits of the QL 420 Plus and more, in a smaller size! For assistance updating your Zebra mobile printers, contact us at BarcodesInc.